It’s no surprise that many companies across all industry segments spend a significant amount of resources managing and servicing the assets necessary to meet safety standards at required performance levels. This is particularly true of fleet assets which comprise of vehicles and/or aircraft. One significant challenge is finding ways to minimize service costs while optimizing fleet performance and reliability. In fact, 80 percent of fleet downtime is due to slow communication, poor processes and wait time. After a wide range of technology solutions came to market to help with this gargantuan effort, it appears that a solution has finally arrived in the form of Internet of Things (IoT). 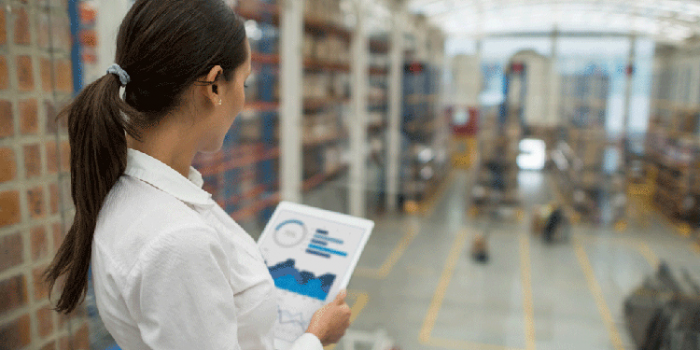 IoT technology is a critical component to reducing over-all delivery and supply management expenses as it can be combined with other technologies to help improve important dimensions of handling and servicing fleets. To truly understand the impact of IoT in fleet management, let’s look at the following case study. For instance, one large, multinational organization manages dozens of fleets in support of highly important, global operations that often take place in remote and rugged environments. Their use of IoT technology provides a great example of how the above problems can cause significant disruption or even critical failures. In this case, IoT technology was used to provide the basis for a comprehensive and innovative solution in order to mitigate risk and improve individual vehicle and overall fleet performance. Their fleet is composed of thousands of vehicles that are serviced by mobile repair centers which are setup, disassembled and moved frequently. Each vehicle has over 100 embedded sensors generating real-time information on key performance factors of the vehicle and sub systems. One group of sensors generates current real-time operating values, while another set of sensors measures deltas at high frequency time intervals for a number of various dimensions, including temperature, pressure, vibration, velocity, acceleration, inclination, orientation, RPM, torque, fluid levels, tolerances, wear factors, GPS coordinates, etc. To collect and make sense out of this large amount of data, IoT technology was used as part of a larger integrated global solution. The IoT information for each vehicle is securely transmitted to, and stored on, a scalable cloud platform. Software applications running on the cloud analyze the IoT data to determine current status, detect issues and to predict when service is required and for which specific parts. The real-time vehicle sensor information is used to animate real-time displays of vehicle locations and status. Operations uses this information to monitor situations in real time and to coordinate actions across vehicles to achieve the specific goal. The IoT data is linked to vehicle metadata, such as bill of materials (BOM) and warranty information to detect out-of-tolerance conditions, and to generate alerts that drive mitigation actions and communications to field operations. The cloud platform allows easy configuration and customization of alert thresholds and alert generation algorithms to ensure a fit for purpose solution that can keep up with new vehicle introductions and localization of alerts based on geographic conditions. To improve custom data analysis, algorithms were deployed on the cloud platform to analyze large quantities of IoT-generated sensor data to predict when maintenance and part replacement were required. As a result, they improved predictive maintenance processes, reduced the risk of failure and optimized vehicle performance in the field. The ability to link vehicle master data, warranty contracts, product limit and tolerance information with the results of the IoT analysis algorithms was key to optimizing vehicle service and part replacement. Today, this information is also used to recall vehicles from the field when part replacement is predicted to be required before mission completion. In addition, the solution reduces the risk of vehicle failure by providing recommendations for specific vehicles that should be selected and serviced based on vehicle condition, vehicle availability, predicted service times, remaining part lifespan, mission duration, geo location and environmental conditions. The solution also proactively generates replenishment signals and purchase orders to ensure that parts are available for service at the right service center at the right time. Equally important is the capability to detect when parts do not meet warranty limits and how part lifespan varies by conditions such as dry and dusty, mountainous and high humidity environments, etc. This drives cost savings at multiple levels and provides valuable quality information to part suppliers, fleet operations and maintenance teams. The cloud platform also supports multiple IoT data formats, custom formats and provides a high level of data security. Other key cloud platform services employed were IoT asset tracking, BOM master data management, contract and warranty services, replenishment planning, inventory visibility and optimization, purchase order management, mapping services and a workflow design tool. The ability to develop and deploy custom algorithms on a cloud platform along with a pipeline of applications that were already available was key to project success. This allowed the delivery team to focus on the desired end results instead of getting bogged down in integration projects across siloed applications and IT point solutions. This class of IoT application demonstrates how integrated IoT data and analysis algorithms with cloud enterprise services and applications enable new capabilities to monitor fleet status, reduce fleet maintenance and operations costs, reduce risk of equipment failure, improve vehicle reliability and, in turn, optimize the odds of mission success. Machine and deep learning algorithms will open up new possibilities to detect patterns within, and between, sensor data streams to optimize vehicle performance, service and lifespan. Cloud platforms that support IoT integrated with business applications provides a fast path to delivering new solutions to old problems.